The public is invited to celebrate the coronation of the Jefferson County Fair and Rodeo Court. 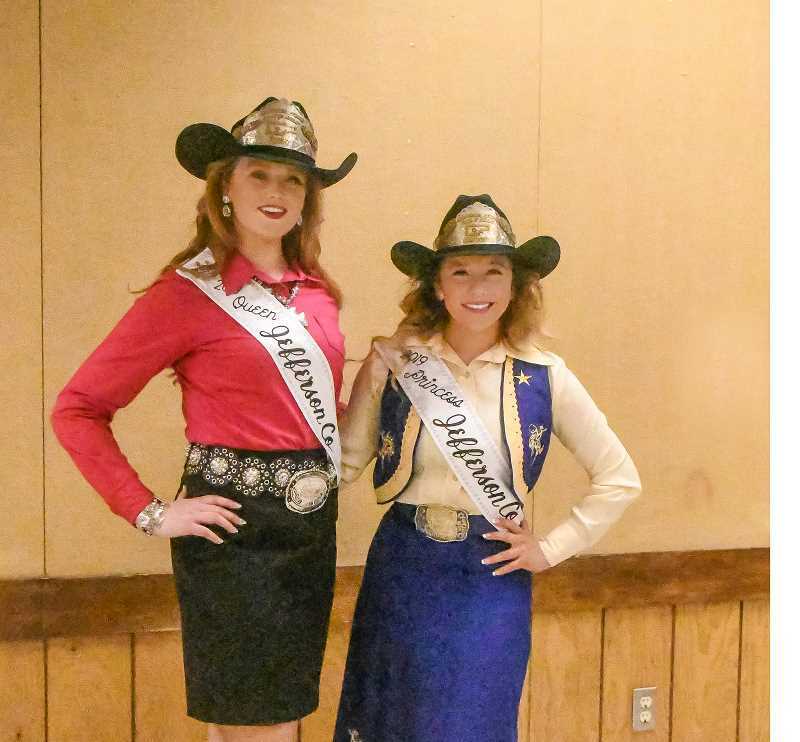 The public is invited to celebrate the coronation of the Jefferson County Fair and Rodeo Court at 5:30 p.m., Saturday, Jan. 26, at the fairgrounds. The evening will feature a rib and chicken dinner, live and silent auctions, a no-host bar, entertainment, and the coronation of Queen Lindsey Sullivan and Princess Mary Olney. Admission is $15 for adults, $10 for kids ages 6-13, with ages 5 and under free. Besides the coronation, the event is a fundraiser for the court's travel, activity, and outfit expenses as they represent Jefferson County during the coming year. "This will be the court's main fundraiser for the year, so we would like to have the community come and support them for their travels throughout the state of Oregon, representing the Jefferson County Fair and Rodeo and Jefferson County as a whole," said advisor Tanya Cloutier. Anyone wanting to purchase tickets, or who has auction items to donate may contact Cloutier at 541-977-2100.